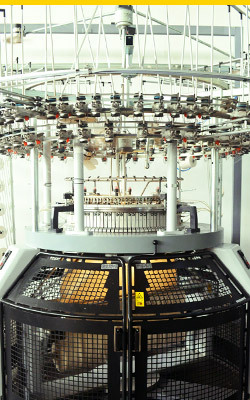 MUNDO TEXTIL S.A. aims to maintain an ongoing industrial development in technology and product. Meeting the demands, caring and respecting the interests of the customers. Providing excellence in quality for Argentina and the world. Ensuring confidence to meet business obligations agreed with customers and suppliers. Training, friendliness and excellent work environment, are the premises for the members of MUNDO TEXTIL S.A. Being a leading company in the market for the excellence in management. 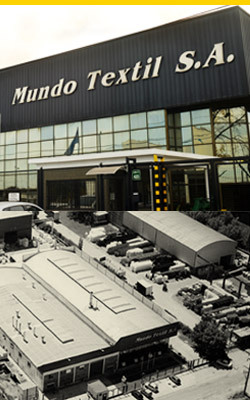 MUNDO TEXTIL S.A. is established in December 1997 in the Industrial Park of Pilar due to its rapid growth. MUNDO TEXTIL S.A. is a young company with vast experience. Their managers, with training and an extensive career path in the textile area, contribute with their experience and knowledge to carry out this major project. 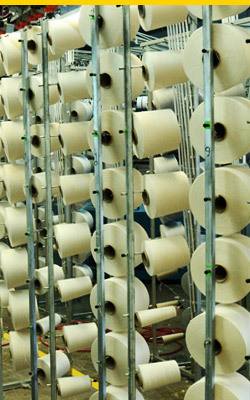 Advanced technology, and the latest generation machines are the reasons to say that MUNDO TEXTIL S.A. is the most modern textile plant in the country.